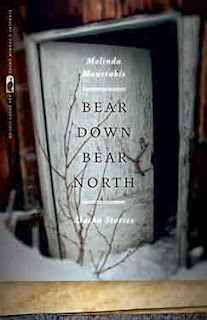 Bear Down, Bear North; Alaska Stories, is a collection of loosely connected literary short stories by Melinda Moustakis. Where many writings about Alaska make Alaska itself the main character, this collection is more about the small cast of characters who live in Alaska, who are certainly shaped by it and irrevocably connected to it, but not secondary to it. It's very literary: disjointed in a way that ends up making sense, like an impressionist painting. Close up, it's just a bunch of random brushstrokes. The further you step back, the more it resolves itself into a coherent picture. It also fits my other definitions of literary fiction: grim, roughly poetic, and sometimes difficult to follow. 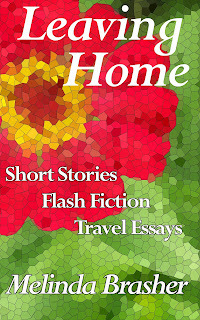 Several of the stories are written in tiny seemingly unrelated snippets, and the stories vary widely in voice, style, content, and point of view. There's even one in second person—one of the more powerful uses I've seen of the unpopular point of view. While I can admire the style, which takes both talent and practiced skill, it's not my favorite type of reading. I had a hard time keeping the characters straight across different stories, which didn't really hurt the individual stories but which annoyed me. Moustakis approaches her subjects from intriguing angles, and fills her writing with unique details. This makes it an absorbing read. It's interesting and powerful in its literary way. For me, though, it's a goose liver paté sort of book: gourmet and good to experience now and then, but not what I want every day for lunch. Warning: coarse language and lots of unexplained fishing jargon. Here's a new book trailer for Leaving Home. Check it out. Just got back from my trip to Alaska and Canada. GREAT trip. I don't have many good pictures of the aforementioned animals. I was too busy gawking and wishing I had researched and bought a better camera. But I have lots of pictures of mountains and such. Watch for them in future posts. 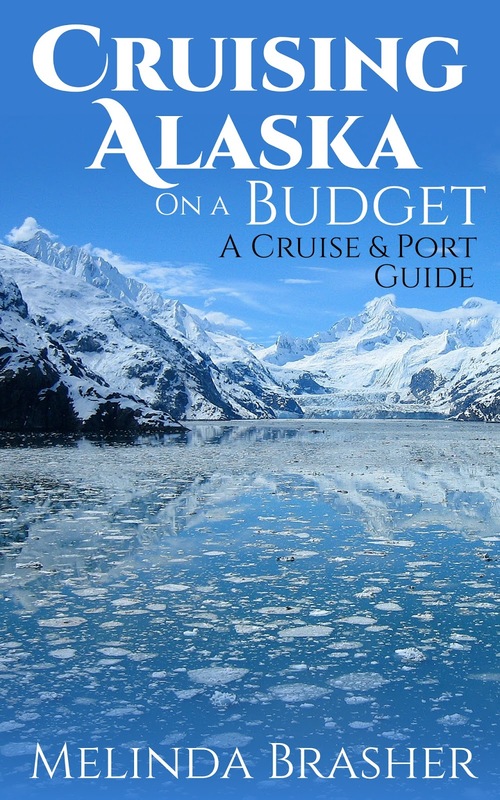 And if you have any questions about Alaska, ask!